3 "Night at the opera"
The history of Belgium extends before the founding of the modern state of that name in 1830. Belgium's history is therefore intertwined with those of its neighbours: the Netherlands, Germany, France and Luxembourg. 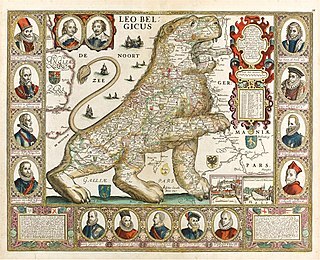 For most of its history, what is now Belgium was either a part of a larger territory, such as the Carolingian Empire, or divided into a number of smaller states, prominent among them being the Duchy of Brabant, the County of Flanders, the Prince-Bishopric of Liège and County of Luxembourg. Due to its strategic location and the many armies fighting on its soil, since the Thirty Years' War (1618–1648), Belgium has often been called the "battlefield of Europe" or the "cockpit of Europe". It is also remarkable as a European nation which contains, and is divided by, a language boundary between Latin-derived French and Germanic Dutch. The United Kingdom of the Netherlands is the unofficial name given to the Kingdom of the Netherlands as it existed between 1815 and 1839. The United Netherlands was created in the aftermath of the Napoleonic Wars through the fusion of territories that had belonged to the former Dutch Republic, Austrian Netherlands, and Prince-Bishopric of Liège. The polity was a constitutional monarchy, ruled by William I of the House of Orange-Nassau. The Province of Brabant was a province in Belgium from 1830 to 1995. It was created in 1815 as South Brabant, part of the United Kingdom of the Netherlands. In 1995, it was split into the Dutch-speaking Flemish Brabant, the French-speaking Walloon Brabant and the bilingual Brussels-Capital Region. 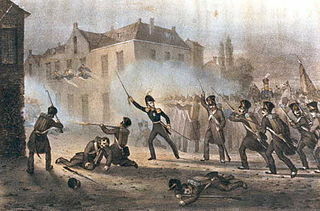 The Ten Days' Campaign was a failed military expedition by the United Kingdom of the Netherlands against the secessionist Kingdom of Belgium between 2 and 12 August 1831. 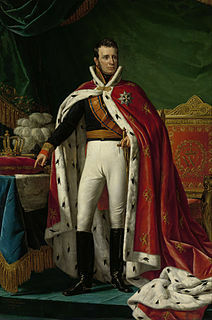 The campaign was an attempt by the Dutch King William I to halt the course of the Belgian Revolution which had broken out in August 1830. Engelbert Sterckx, was the Archbishop of Mechelen, Belgium from 1832 to 1867. Tilman-François Suys or Tieleman Frans Suys was a Belgian architect who also worked in the Netherlands. The London Conference of 1830 brought together representatives of the five major European powers Austria, Britain, France, Prussia and Russia. 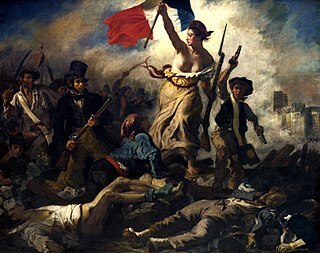 At the conference, which began on 20 December, they recognized the success of the Belgian secession from the United Kingdom of the Netherlands and permanently guaranteed Belgian independence. The Manifesto of the Province of Flanders was the declaration of independence of the county of Flanders on 4 January 1790, during the Brabantine Revolution. On this day, the States of Flanders "solemnly declare[d] in the name of the People, the province of Flanders to be an independent State, and definitively withdrawn from its loyalty and obedience to emperor Joseph II, count of Flanders, and from the House of Austria." The States also declared "all officials, lieges and other servants, whoever they may be, free and absolved from all concluded and indebted contracts, and discharged from every oath done to the fallen count of Flanders."